Before the coalition’s founding, Carolyn and others noticed a disconnect between the many community programs offering services to parents and children. Carolyn thought the programs and the community could benefit from bringing all the various services together in one place. Serendipitously, the state of Oregon happened to be running “service integration pilot projects,” and under Carolyn’s direction, Coalition for Kids became one of them. Thanks to her efforts, the school district donated an old administration building to the cause, and CFK opened in 1991 with 12 agencies under one roof. Carolyn remained Executive Director for five years, and the agency has grown, changed, weathered adversity and thrived over several decades now. Recently Carolyn recommitted to CFK, working with the Women’s Foundation of Oregon and spearheading the team that created and presented the “Count Her In” project which empowers and supports local women of every age from teens to adults. 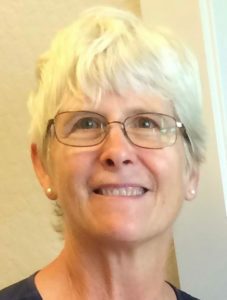 Carolyn was also a founding board member for both the Grants Pass Family YMCA and Positive Community Action. She organized the Pioneer Fair at RCC, developed a strategic plan for ArtWorks, became a master recycler and organized her neighborhood monthly food bag program. She and her husband Doctor Bill Kohn worked tirelessly on the district library campaigns and Carolyn continues to enjoy reading for story time at the library. A true catalyst indeed!